Infographics Everywhere! Cake or Pie? Here’s a clever idea! These are standard cakes on the inside, but the frosting is informative. 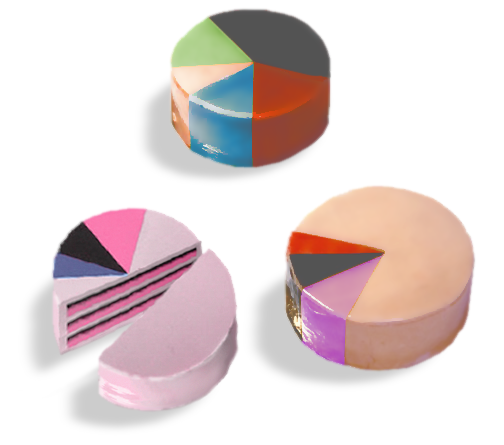 The appearance indicates the ingredients of the cake in “pie chart” percentages. Idea by Marti Guixe, a designer in Barcelona. 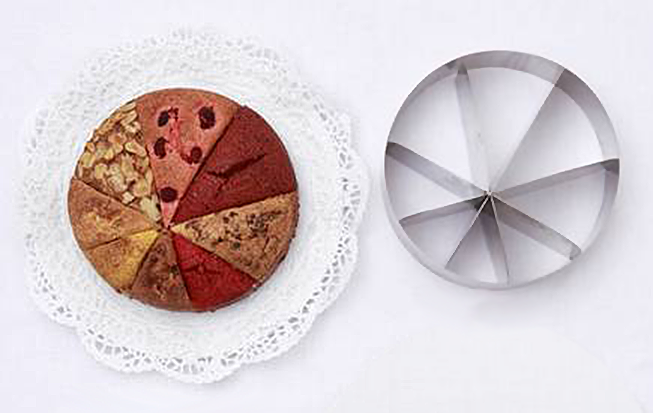 Now, if you’re disappointed that the cake is ordinary inside, you can bake your own with custom segments of batter, using this pan from Danklhampl design. Rather than being a design that communicates, these objects contain information that is immediately self-evident. The baking pan was designed for people who bake for a crowd with many individual preferences. Personally, I’d just make cupcakes! My second reaction: if your information is not self-evident to its users, consider providing graphic design that explains it!